If you have an Instant Pot, never again will you make mashed potatoes on the stovetop. Making them in a pressure cooker saves time and ensures the potatoes are cooked to a nice, soft texture. 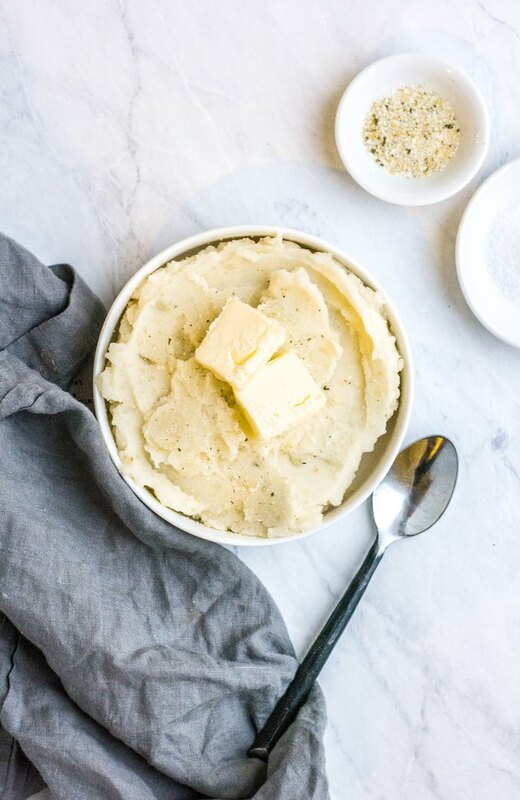 We are convinced this is the best Instant Pot mashed potatoes recipe around! Pour water into Instant Pot. Place steaming rack in the pot. Layer potatoes on steaming rack so they are elevated above the water. Lock lid, seal, and cook potatoes on manual high pressure for 4 minutes. 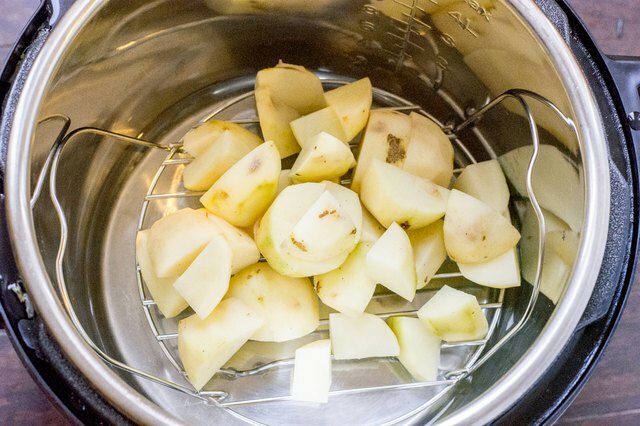 Your Instant Pot comes with a metal steaming rack, which works well for cooking potatoes. While potatoes cook, mix milk and butter together in a small saucepan on medium heat until warm. Quick pressure release potatoes once done, transfer to a bowl and mash. Pour in milk mixture and mix with a spoon until creamy and fluffy. Sprinkle in garlic salt, salt, and pepper. Serve while warm. Enjoy!